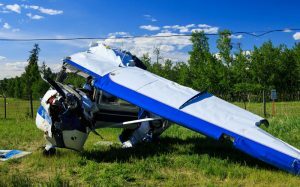 Home » Aviation Articles » Flying General Aviation Aircraft » Handling In-Flight Emergencies: Are You Really Prepared? Rod Machado’s new eLearning Course on in-flight emergencies is definitely an entertaining and educating course that offers valuable material for both student and certificated pilots. Featured image “Rough Day at RDRC” by John Romero, used under license CC BY-NC 2.0. Recently, I got the opportunity to review Rod Machado’s new eLearning Course about in-flight emergencies. The course is about six hours of short videos divided into six chapters, with a little quiz at the end. The videos contain real in-flight footage, audio recordings of real in-flight emergencies, little animated people, and of course, some classic Rod Machado jokes. I figured this course came about at just the perfect time in my flight training, as I’m about at my first solo flight and handling in-flight emergencies seems to be a very valuable skill to have! I didn’t anticipate, however, how much I would really learn about nearly every aspect of flying. Though super helpful for me as a student pilot, this course would be genuinely valuable to certificated private pilots as well. Rod Machado excels at explaining things simply without over-simplifying them, if that makes any sense. Said another way, you’ll understand everything perfectly without feeling like you’re being spoken to like a child. In part one of the series of videos, Rod Machado explains just how rare in-flight emergencies are, and offers an easily digestible piece of advice: “Never stop flying.” If anything bad happens, fly the plane all the way to the ground; that’s your number one priority. This is a recurring theme throughout the six volumes, and includes real audio clips and transcriptions of pilots who survived in-flight emergencies by doing just that and keeping their calm in the face of serious danger. My favorite aspect of the whole series is that it explains why we take the precautions we take when it comes to flying. Many pilots could go their whole life without knowing why we do certain things on the checklist or check for certain things in the pre-flight. This course provides a new depth of motivation to be thorough and focus on preventing accidents by taking the proper care and precaution when it comes to maintaining and operating an aircraft. For me, it’s hard to remind myself to do things if I don’t know why I’m doing them, and this course explains what you should do and why, by offering you examples of what can go wrong if you don’t. For example, when doing the start-up and run-up checklists, each pilot is asked to make sure the ammeter is not discharging or charging excessively. Not knowing much about the process, I always wondered why generating extra electricity (power, as I thought of it) was a bad thing. By explaining the electrical system in an airplane using an easy-to-understand analogy, Rod Machado describes how generating extra power can over-charge the battery, damaging it and possibly leading to an in-flight electrical fire. Yikes! Possibly the most valuable section for more experienced pilots is part four, which deals with in-flight fires and carb ice. (Fire and ice, the two most dangerous things to pilots that don’t include the ground.) In this section, the electrical system is explained in great detail, as well as some of the inner-workings of engines- stuff that, after learning it, I felt I should have known from ground school. Items such as the cockpit fuel indicators only needing to be accurate when they read zero and that 74% of carb ice related accidents occur in clear air*. *Thank you Monica for clarifying that the visible moisture rule is taught in relation to structural ice, not carb ice. As a student pilot, I appreciate every bit of help I can get! Another aspect I really enjoyed was the end-of-chapter quizzes. Unlike other eLearning video courses I’ve taken (such as Sporty’s) the quizzes actually require some thought and are very helpful. It took me a couple quizzes to realize you have to “submit” each answer to find out if you got it correct, instead of just “submitting” the whole quiz and seeing a score like I’m used to. Once I figured it out, however, I appreciated the thorough explanations of the answers. The second volume, I found, was very valuable to me as a student pilot who flies often in turbulence. I tend to fret over structural damage to the airplane – unnecessarily, as Rod Machado demonstrates. Airplanes are much stronger than they sometimes feel and are engineered to withstand much of the abuse both pilots and the weather puts on them. The course is not only full of helpful information, it’s got loads of fun trivia for various types of airplanes. For example, when Piper tested the Cherokee’s “Hershey bar” wings, they were so strong the machine they used to test them actually broke. 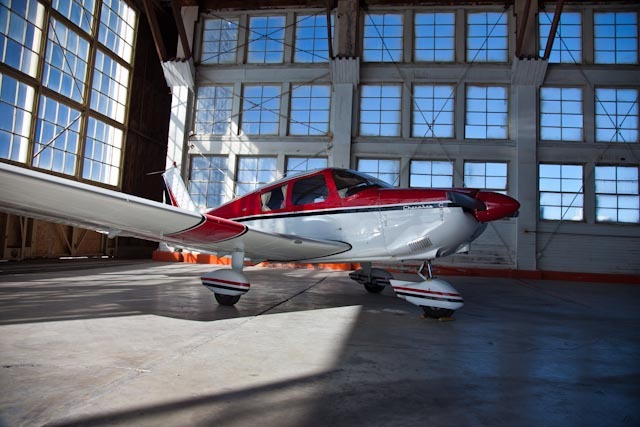 This one stuck with me because I’m flying a Piper Cherokee at the moment, but there are many more pieces of information regarding the Piper Malibu, Cessna 172 and 150, Beech Bonanza, Beech Baron, and the list goes on. Click here to check out Rod Machado’s eLearning courses. The animation is admittedly kind of cheesy, but enjoyable all the same. And besides, it’s what’s on the inside that counts, and the content of this course far outweighs any less-than-perfect visual effects. That all being said, I’ve used Gleim, Jeppesen, and Sporty’s, and haven’t found anything relating to aviation that looks vaguely modern except the airplanes themselves. 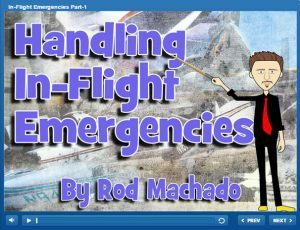 Rod Machado’s new eLearning Course on in-flight emergencies is definitely an entertaining and educating course that offers valuable material for both student and certificated pilots. It focuses on prevention and keeping a cool head, and doesn’t frighten pilots by taking the gloom and doom approach about high fatality rates and such. Instead, Rod Machado provides real statistics proving how survivable in-flight emergencies can be when handled properly, and uses humor and easy-to-memorize checklists to help pilots feel comfortable and confident behind the controls. Click here to check out the course on Rod’s website. The visible moisture requirement is in regard to structural ice, not carb ice. Thanks, Monica, for that clarification!